Terra Nova | Turning my world upside down! We camped the night at Glovertown where we had a nice bbq steak and veggies. As our campsite was at the end of a road, many people would walk by and say hello. That’s how we met Eileen and Harold. We invited them for a glass of wine and ended up chatting all evening. 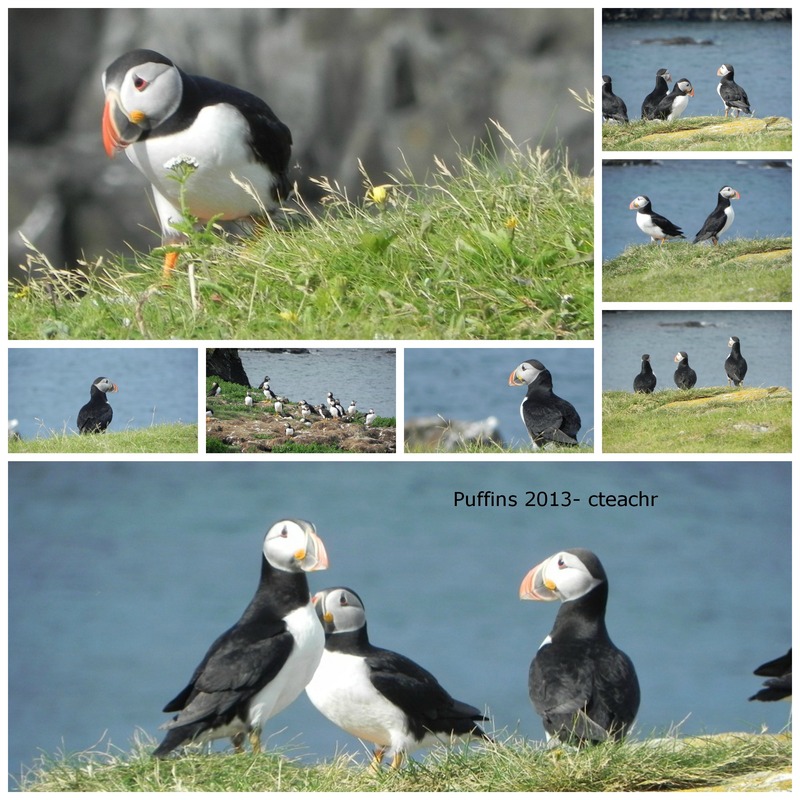 We are hoping to see them again when we return from St. Pierre et Miquelon later this week. Today was our visit to Bona Vista, where Cabot first sighted America. 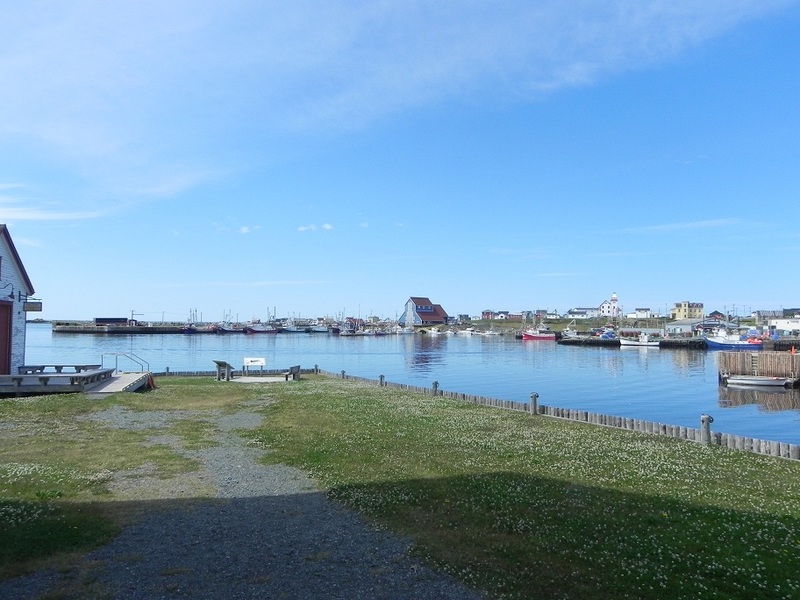 It was a huge cod fishing area for years and we visited the Parks Canada interpretation center at Ryan’s Premises. Frankly, we are a bit tired of the history of fisheries around here, but it was a good exhibit. 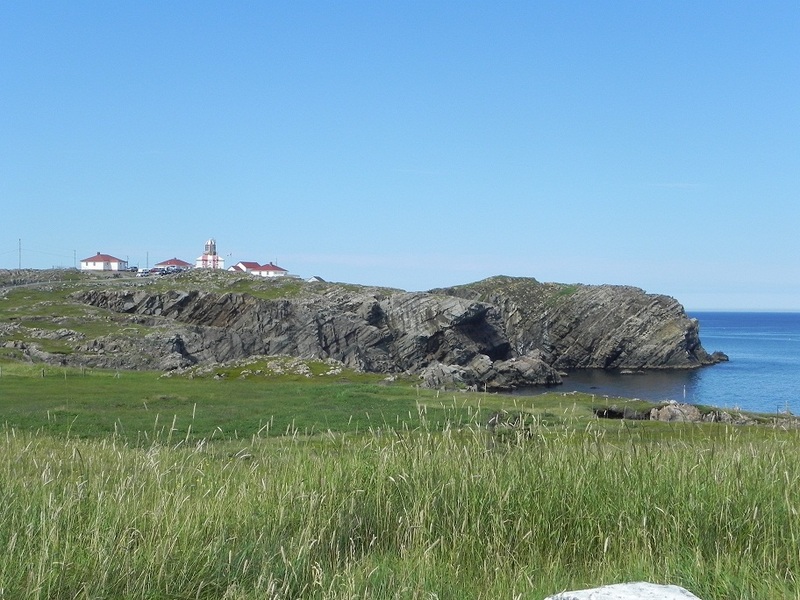 But what we really came for was to see the puffins, Newfoundland’s provincial bird. And we were not disappointed!!! We drove to a point where we saw people sitting on another point for a long time. So Leon figured there must be something up there. Sure enough, we pulled over and walked up the hill to find a whole colony of puffins so close you could almost smell them, anyway. Seriously, they were no more than 10 feet away!! We left feeling satisfied we have seen just about all the sights we want to see in Newfoundland, including several whales spouting again yesterday. Camping was in front of a quiet cove at Elliston where we share yet another lobster, this time a 3 pounder. Shameful!! We sat with the camping neighbours from Quebec and ate as we were a feast for the local flies. Yes, my face is once again swollen all down one side. Sigh… Oh well, it was a lovely day with a great evening to finish it off.